Free writing is a great exercise to get ideas flowing when you are feeling stuck. It also helps you to quiet your inner censor. Some self-editing is a natural part of writing but the censor must be kept in check. Give yourself a set word count (500 words to start). Then choose a topic. It could be a subject you want to write about in your book (such as, for example, the danger of vast political power). Start just writing words on the page, any words that come to mind will do. You can try to write a continuous piece of narrative about power or you can just let free associations and disconnected words focused on this idea spring to mind. Power – Lord Acton (‘All power corrupts, absolute power corrupts absolutely’). The corruptible – what is the one single trait that makes people most prone to it? Want to be in control – a controlling streak, a sense of fear of losing control, the character is afraid of losing control because he grew up in a society where the government curtails the freedoms of the citizens extremely so he is stuck in that way of thinking. Desires control. He locks all the doors while the crowds surge against the wood, gives instructions. His staff are careful not to disobey. He has passed a law that no other political organization can stand against him, his face has grown set and ugly, mask-like. He ordered all the mirrors in the headquarters removed so he does not see this thing that he has no power over, the face that he can’t see at all times. You may find parts of your free writing you can use and expand on. You might decide to describe the scene where the staff is going through the tyrant’s headquarters removing mirrors. You might decide you don’t like what you’ve written but the process should loosen up your creativity. How often have you heard the saying ‘truth is stranger than fiction?’ Even though it’s clichéd, the fact is that news items are great sources of inspiration. Often they give plot with room left for you to add your own substance. They give the fact the heroic individual raised millions for his school district but not the series of small, human events that led up to this moment. Very little is given about his backstory, about the community’s struggles and hopes, about the small details of life that would give his story greater emotional power. Do a Google search on a subject you’re interested in. 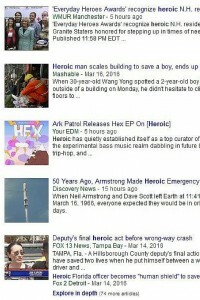 If, for example, you enjoy writing about acts of heroism, Google ‘heroic’ and in the results page, click ‘news’. 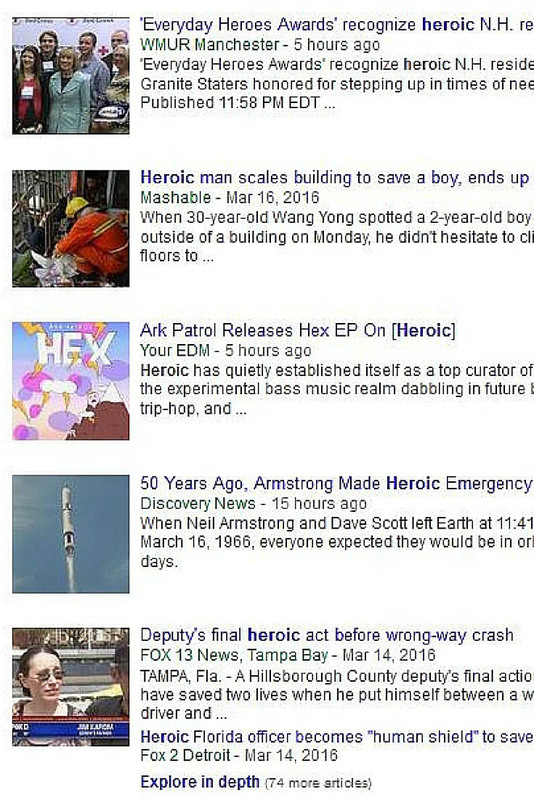 What happened to the boy, why did he need saving? What will happen to him? Who is the boy and why is he here on this day? Who is the man and how is he connected to the boy? What might he learn or overcome in the rescue process? A recent or older news article can inspire an entire story, while an incomplete or ambiguous title can inspire you to complete the story in your own creative way. The saying ‘a picture says a thousand words’ might be clichéd but it does suggest the way pictures compress a lot of meaning into a single frame. That’s why picture caption contests are popular, because they let us unfurl the many stories curled up tight as the leaves of a fern inside an image. Enter the term in the search box and click the magnifying glass to see the results (for potentially disturbing topics, make sure ‘safe search’ is enabled!). Look first at the suggested sub-groups of images at the top of the results. For ‘industrial revolution’ you get ‘child labour’, ‘inventions’, ‘factory workers’, ‘factories’, ‘steam engine’ and ‘timeline’. Find images that suggest scenes to you that will occur in your story (for example the child labour image group includes statistical graphs that could be useful for giving a more accurate description of your book’s setting). As you can see from these suggestions, image searches on a very broad topic can narrow down your general areas of interest to some very specific story ideas. Dreams are often memorable because they are full of the fantastical and the strange. They’re also deeply symbolic and suggest to us courses of action or new ways of seeing things in a roundabout way, using the power of storytelling and creative association. You might not remember dreams often, or you might not find story ideas in your dreams, but daydreaming can provide a similar source of inspiration. Daydreaming means letting your mind wander and picturing people, places and scenarios that you let come and go with minimum interference. It’s a lot like the writing process, only the words come later: You see the images and settings rather than describe them in words. You might find that scenes you start creating unfold in your mind’s eye and become more interesting simply by progressing according to their own internal logic. 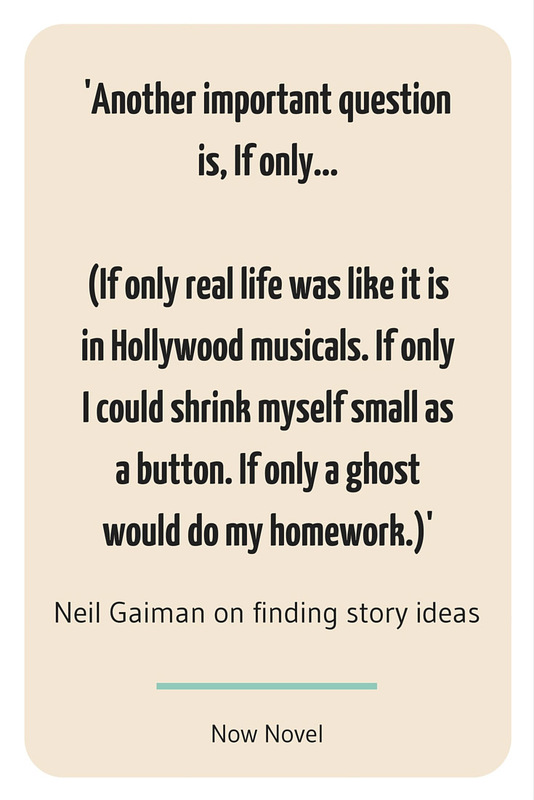 As Neil Gaiman points out, creative writing comes out of a spirit of curiosity. Feeling stuck creatively might be the result of not asking the right questions. Many ideas can be found by continuing the sentence ‘what if’ with the first words that come into your mind. For example, ‘What if there were an impending global natural disaster but governments couldn’t agree on approaches to lessening its impact?’ Questions following on from ‘how will’ work too: ‘How will the earth look in 300 years’ time?’ How will humankind evolve over the next 1000 years? ‘How will’ is the fundamental source of countless sci-fi and speculative fiction novels. Even if you can’t get inspired to write, you likely have desires for either yourself or society in general. You might think ‘if only the gun hadn’t been invented’ or ‘if only books could magically continue and expand themselves once written’. 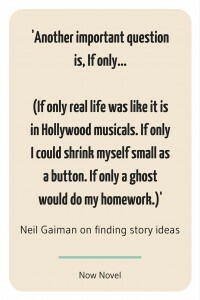 Think through your ‘if only’ statements. What might be the consequence of the thing you imagine? What are the perks of a great desire coming true and what are the perils? Write down a list of things you either actually wish were otherwise or things that could only be true in a world of magic and suspended natural laws. Choose the one that excites you the most as the departure point for a story. There’s a reason why writing groups are found around the world: Because the company of other writers who give mutual support inspires and improves us. Sometimes a word of advice from a fellow aspiring author opens whole new vistas for your writing. ‘I hadn’t thought of it that way’, you say, as you hurry to jot down all your new ideas. In reading and critiquing the writing of others, you also can find inspiration. Another group member’s creative work might remind you of a subject or theme you want to explore yourself, or help you discover a subject you’d never considered writing about before. This idea might sound obvious, but if you talk to people with intent (the intent to find a great story), inspiration will come. This suggestion comes courtesy of Jon Morrow in his writing for Copyblogger. Morrow describes how he asked his readers to tell him their frustrations and how he learned abundantly from the over 300 comments that resulted. Although Morrow’s suggestion refers to writing blog posts, apply the same principle to finding inspiration for book writing. Ask people questions such as ‘what do you think would happen if…?’ Or ‘If you could be leader of the world for one day what law would you pass?’ Getting inspired to write starts with finding voices other than your own and letting them add the richness of their difference to your creative process. 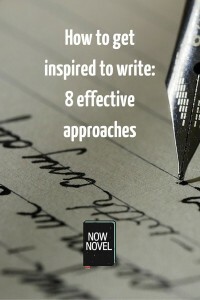 Want to start or finish writing a novel? 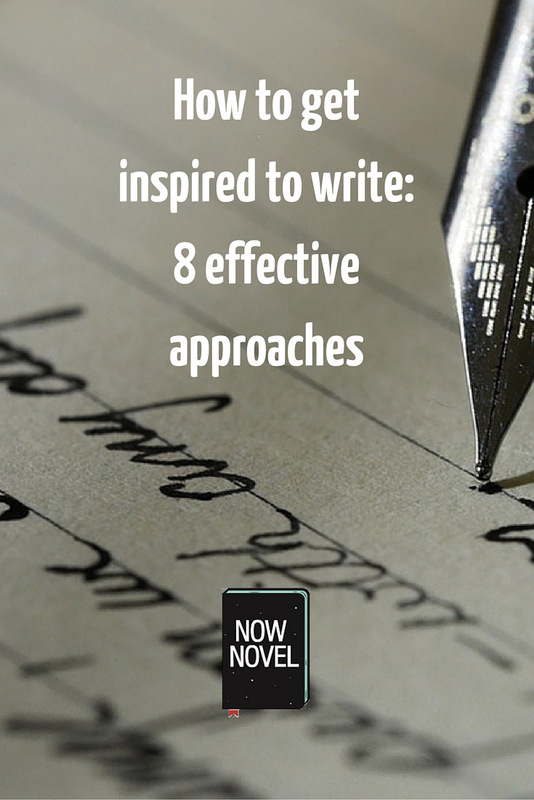 Get inspired to write using Now Novel.